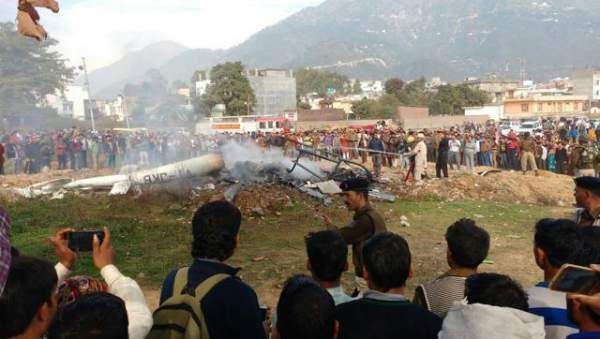 Jammu IG of Police, Danish Rana confirmed that the chopper was on its way from Sanjichat and crashed near the new bus stand area in Katra town. Some unconfirmed reports came out which suggested that fire broke up in the chopper when it was in the mid-way. The pilot avoid the helicopter crash in populated areas and drove it to open area. Arjun Singh, Mahesh, Vandana, Sachin, Amritpal, and Akshita are the names of the people got killed in this crash. Police revealed their hometown. All of them belonged to Jammu. As a general practice, most of the maa vaishno devi pilgrims takes this helcopter service from Sanjichat located near Bhawan. From Katra, it remains only a 12-kilometer mountainous trek. Pilgrims either choose to go by foot or by a pony or palanquin to the destination. The auspicious shrine is located in the holy Shivalik range in the Himlayan foothills which is 56-kilometer north of Jammu. It has been one of the most famous pilgrimage in India. Not only Indian pilgrims, but foreign pilgrims and tourists arrive here every year in large numbers. Earlier this year, a military chopper crash in which both the pilots were killed at north of Srinagar. That would be out soon..